Twitter can be an extremely powerful platform for marketing products, services or brands. With its 300+ million users who constantly post and check updates and its vibrant community of influencers, celebrities and social media phenomena, being noticed by the right people at the right time can make or break your product launch or your career. Having success on Twitter is by no mean a matter of chance: there are precise steps and behaviors you can adopt to increase the likelihood of having your tweets retweeted by users with a large following or, in general, reach a large number of followers that will amplify your messages, links and posts. It’s very important, before embarking in any digital marketing campaign, to define with extreme precision what your targets and goals are. For Twitter, while the ultimate goal is usually an increase in engagement and influence, it’s essential to have very clear in your mind what your optimal followers growth is, who is important in your niche, who you want to “aim at” and what are the ideal contents for your target audience. While quality of contents shared is extremely important, Twitter is probably the only social platform where quantity is also a factor in increasing engagement and reach. With the sheer amount of tweets shared every second, if you are not constantly producing new content you are definitely missing out on opportunities to end up in your audience feeds. Retweeting interesting contents from influencers and people in your target market is the best thing you can do to increase the engagement for your account. Carefully picking the right stuff to retweet shows you care about what these other people have to say and at the same time you make your own feed more diverse and interesting to follow. A win-win. Hashtags are great to keep up with the latest trends in your target community and discover interesting people to engage with. Carefully choose the most appropriate hashtags to follow and make sure you check them with dedication to never miss an important tweet that you can retweet or get inspiration from. If you do everything mentioned above you will end up with a much higher level of engagement on Twitter - but that’s just the beginning. To make sure all these efforts are not wasted, it’s important you follow-up on all the connections you make, trying to create bonds also outside of the Twitter platform, building strong relationships that can be mutually beneficial. If you execute on the activities presented above you can stay assured that you will definitely increase your number of followers, the level of engagement your account will enjoy and the quality of results that posting announcements, links and updates will yield. The only problem is that implementing such a comprehensive list of stuff to do is time consuming and requires dedication, long hours and deep focus. This is the reason why we have created Tweet Ninja: while we recognized the importance of marketing on Twitter, we ourselves didn’t have enough time to dedicate to all the things required to succeed on this platform so we distilled our intelligence, experience and ideas into a tool that automates engagement, liking, retweeting and managing hashtags - smartly and effectively, freeing time for your other marketing and business activities. 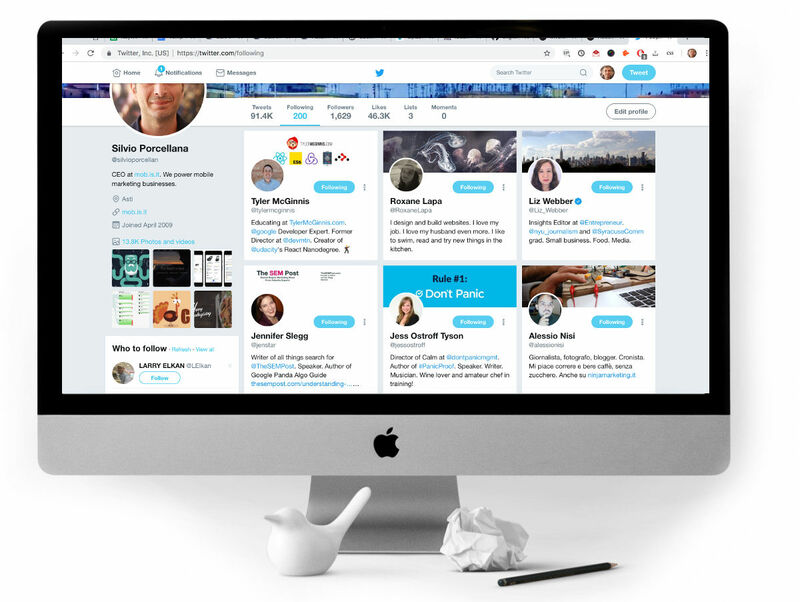 Tweet Ninja is one of the best kept secrets of successful Twitter marketers - and it’s also free to try, so why don’t you signup and see for yourself what thousands of other people are experiencing and enjoying?